Energy junior, Elixir Petroleum (ASX:EXR), has exercised its option to acquire Golden Horde Limited (GOH). GOH was awarded the Nomgon IX Coal Bed Methane (CBM) Production Sharing Contract (PSC), located within Mongolia's South Gobi Desert, in September this year. A pathway will be cleared for completion of the acquisition upon EXR shareholder approval to issue 79 million consideration shares. The decision was made in accordance with the binding terms sheet signed in October 2017 and extended and amended in September 2018. 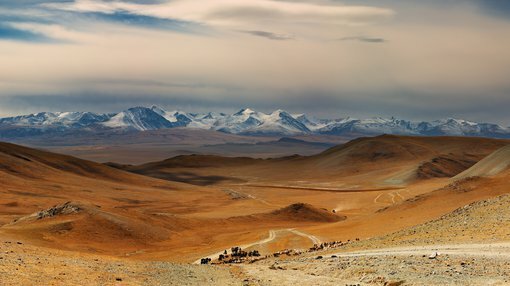 Following last week’s announcement of the option granted to Entek Energy (ASX:ETE) to acquire EXR’s Alaskan portfolio of assets for up to 200 million Elixir shares, EXR will now turn its attention back to the high-impact Mongolian CBM opportunity it identified over a year ago. EXR and GOH's initial exploration activities are now well-advanced in preparation for an active exploration program next year, which has been designed to de-risk and prove up the identified potential giant resource proximate to the Chines border. As previously announced by EXR, Neil Young will join the company as CEO on completion of the Mongolian transaction. Young is currently the Managing Director at GOH, has a 100% working interest in the Nomgon IX CBM PSC, and has worked previously with Australian energy company, Santos. The Nomgon IX CBM PSC has been the subject of a recent independent prospective resource report, which verified the world-class potential of the PSC area and determined a risked prospective resource of 7.6 TCF of gas. Closure of the Mongolian acquisition will be another key milestone for EXR, and the company will update the market as things progress.